We then read Shel Silverstein's story. This time we chose a sentence, a phrase and a word from the text that was most important and meaningful to us. We tried to explain why. Here are group 1 responses. And here are group 2 responses. 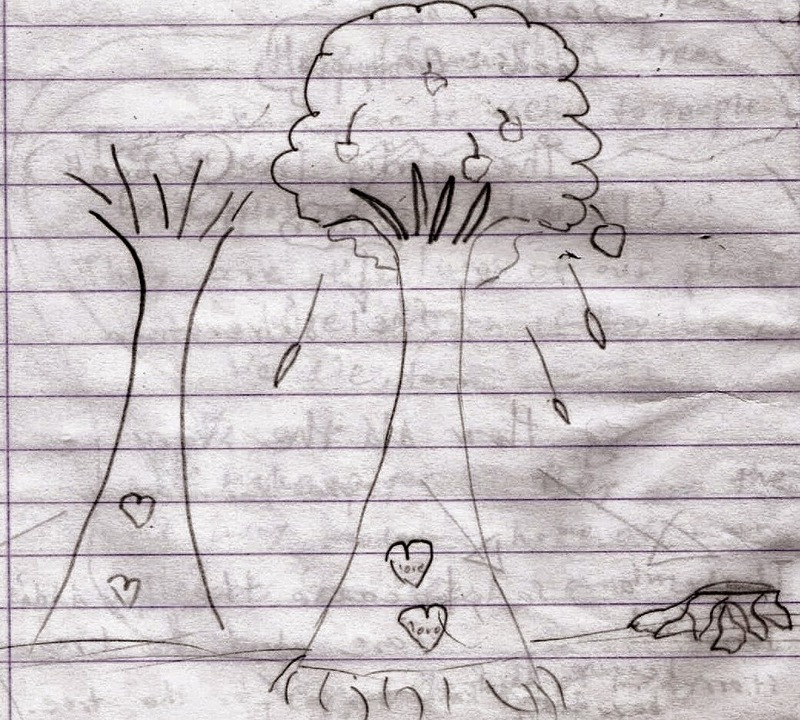 I think this lesson was great and not boring.This project was interesting and showed us how important trees are. The project with the giving tree was fantastic and I want to do this project again but with an other theme. Very nice story!!! I also liked how we worked with the sentence, phrase, word routine. We shared so many ideas. 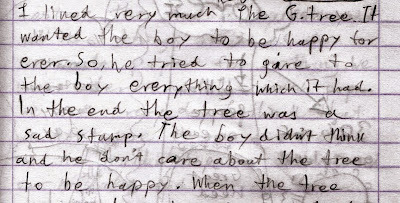 This was a really nice story a.k.a a sad one the boy was so selfish he asked for more and more... but the tree gave all of his stuff (branches/apples/trunk/leaves/shade/place to sleep) for the boy to be happy. 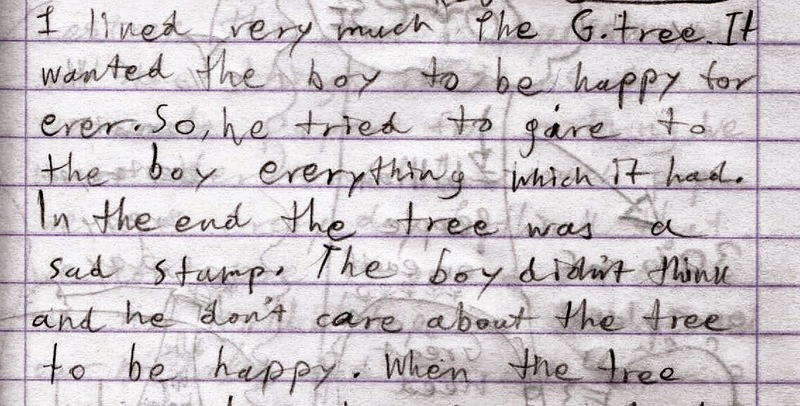 When the boy was happy the Tree was happy. I want to do another project like Spyridoula. Awesome work everybody!! !I loved the story about the Giving Tree.Keep on with the fine work. I'm happy you all found it interesting! We'll be working on a new topic shortly after this one :) Kostas, it's really nice to see you're still catching up with project!